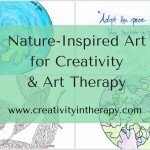 Doodles and “tangle” drawings are great art activities to just play around as an artist or to engage people who do not consider themselves artistic or creative. 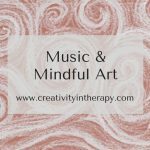 The continued popularity of “adult coloring books” and fascination with zentangles reflect the desire of so many people to make beautiful pictures and enjoy the stress-relieving benefits of art. 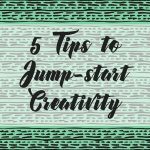 But as an art therapist, I also want to push people to go a step further and create something original, not just color in the designs of someone else. 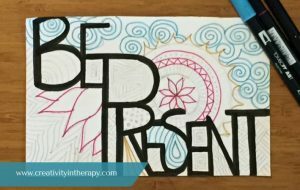 Word doodles are a fun art activity to encourage more creativity in an way that feels accessible for most people. 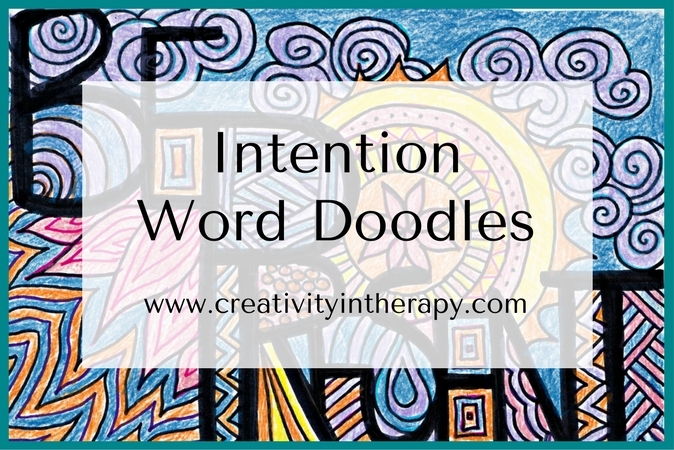 Want to try creating your own word doodle or use this activity with clients? Choose an intention word for yourself – something that you want to be focusing on either today, this week, or this year. Write the word(s) large on the page; consider filling the page with the word(s) as much as possible. Fill the sections created by the letters with doodles of different patterns and colors. What worked best for me was writing out the word with pencil first so I could get the spacing correct and drawing my doodles with pencil as well. I then went back with markers and colored pencils to outline and color. 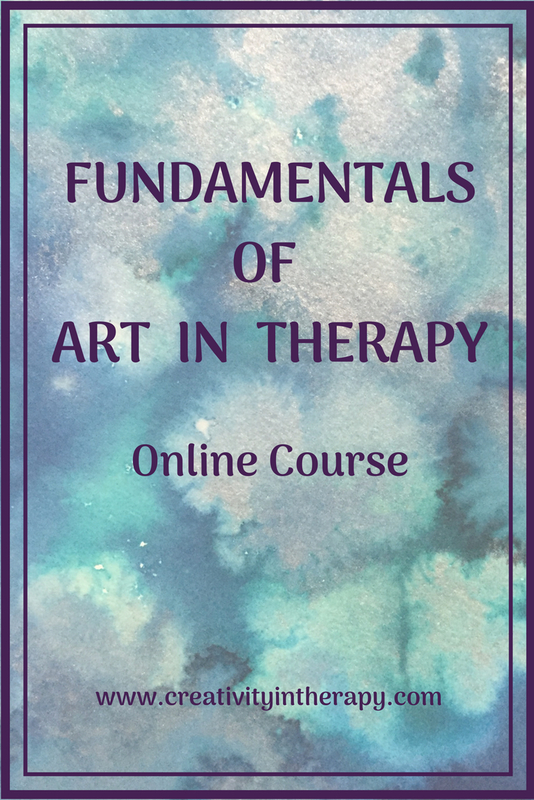 I’ve mentioned before that in addition to having my own therapy practice I do PRN work facilitating art therapy groups at a behavioral health hospital; this is an activity that I learned from the primary art therapist. I saw samples in our art cart and saw patients continuing to work on pieces that they started with her in previous groups. 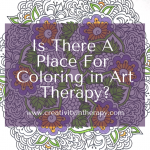 It seems to work well in these art therapy groups, where few people consider themselves artistic, for a few reasons. 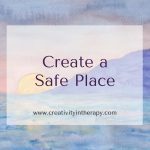 It seems that the structure of the directive helps it to feel like a safe activity to engage in, not as overwhelming as trying to come up with an idea of what to draw or paint. Also, it doesn’t require a lot of artistic ability to do the lettering and fill in patterns, but the result looks interesting and nice. There the is additional therapeutic benefit to having an intention word to focus on. And, of course, everyone enjoys the inherent benefit of relaxation and stress-relief that comes from making art. 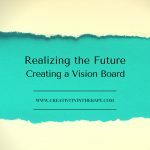 Given the timing of this post at the beginning of the new year, I chose to think about an intention for 2017. 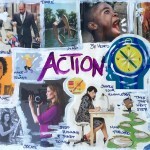 Last year, I shared about doing a One-Word Collage for a new year art activity. I really enjoyed the one-word focus throughout the past year, reminding myself of it periodically and assessing how I was doing with it. 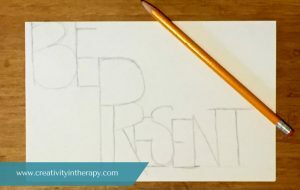 This year I wanted to do something similar – although I did end up with two words for my intention to “Be Present.” I tend to function with a pendulum type rhythm to my life, pushing myself in one direction for a while, and then finding that I need to swing back the other way to get more in balance again. 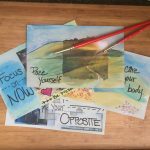 So while last year’s focus was “Action,” now I feel that I need to recommit to just being present in the moment more often, to not always be planning the next thing or thinking I can be more productive by multitasking. Mindfulness and truly being present do not come easy to me, but I know I’ll benefit from trying to work on it. As always, I’d love to hear your thoughts! 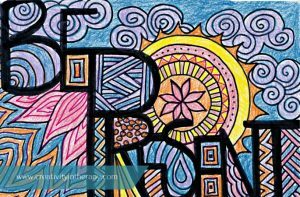 Have you done your own word doodles or zentangles? 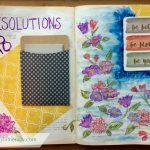 Do you have a favorite art activity for focusing on intentions or New Year’s resolutions?